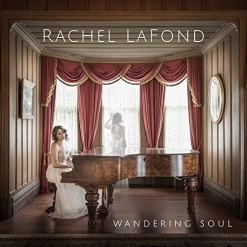 Wandering Soul is pianist Rachel LaFond’s debut album as a composer, and what a lovely debut it is! 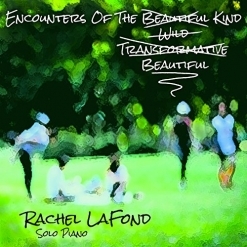 The daughter of a prominent piano teacher in the Pacific Northwest (and a piano teacher herself), LaFond has been surrounded by piano music all of her life. She didn’t start composing until 2013, though, when she met the love of her life and was inspired to capture the flow of intense emotion in music. Her second original composition arrived spontaneously about a year later. In 2015, Rachel and her husband quit their jobs and sold everything they owned to travel the world for a year. The other nine tracks of the album resulted from those travels and the places, sights and people they encountered in New Zealand, Japan, England, the Pacific Northwest, and beyond. The couple decided to settle in New Zealand for now, and LaFond continues to be inspired to write new music. Lucky us! LaFond cites David Lanz as a major influence on her music, but she is definitely not a copycat or a stylistic clone. Her playing has the grace and expression of a true artist with the refinement and confidence of a well-trained musician - a very powerful combination! Wandering Soul opens with the title track, a very expressive and dreamy piece that seems to be “wandering” around the piano keys, looking for something, but in no hurry to find it - the experience itself is the goal. It’s a beautiful start! “Spinning In The Sun” begins delicately and gently builds power and intensity to a peak and then gradually tapers off - charming! The first half of “Finding Home” is lively, celebratory, and overflowing with excitement and then the second half calms into a peaceful, contented mood. “Mystery of the Moor” is a bit different. It begins with a very spare, almost ambient, melody that casts a mysterious spell. As the piece develops, it becomes more intense and dramatic with just a hint of magic - a favorite! I also really like “Why We Wander,” a deeply passionate and heartfelt expression that says so much more than words ever could. “Loving In The Rain” is the first piece LaFond ever wrote, and her emotions pour through every note. In “Whisper In The Mist,” she makes great use of the piano’s dampers to create a misty feeling. I hear David Lanz’s influence in this piece more than the others, but it is still very uniquely her own. (We know a lot about mist in the Pacific Northwest!!!) “Redemption” was LaFond’s second composition and is both passionate and soulful - an exceptional close to an exceptional album. Wandering Soul is a very impressive debut album, and I’m thrilled to be among the first to review it! 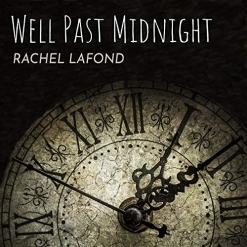 I can very easily imagine Rachel LaFond becoming one of my favorite artists! The album is available from Amazon, iTunes, and SoundCloud. Very highly recommended!